The shy soldier slipped the handwritten note in front of the attractive blonde receptionist. Before she could respond, he disappeared into the throngs of workers flooding into the newly opened Pentagon. Eethel Johnson unfolded it and read, “Because: 1. Of your unfailing courtesy 2. Your ready smile 3. Your general build-up, the general has ordered me to take you out to dinner.” This was not the first nor the last time she received offers for wartime romance. 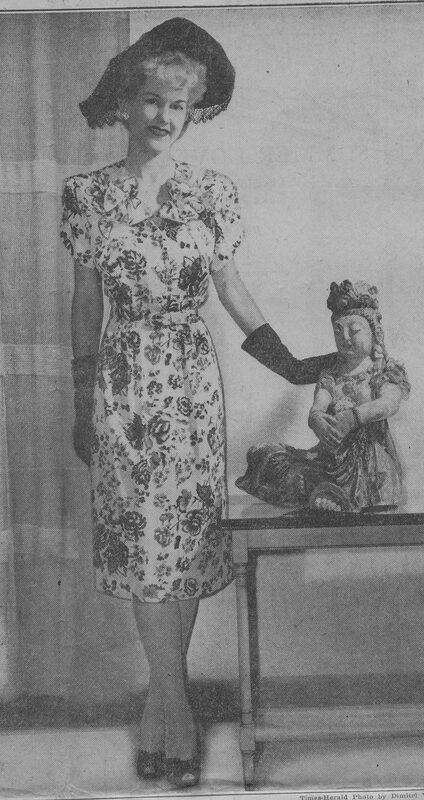 Unfortunately for the lovesick serviceman, Eethel was already happily married to Everett, the boyfriend who had encouraged her move from Des Moines, Iowa to Washington, D.C. to work for the war effort during World War II. The letter was just one piece of memorabilia Eethel shared as we discussed her work at the Pentagon. Because of her Glamour Girl looks, Eethel was singled out by photographers for publicity shots, articles, and advertising. The black and white stills clearly show a vibrant, stylish, and focused young woman. 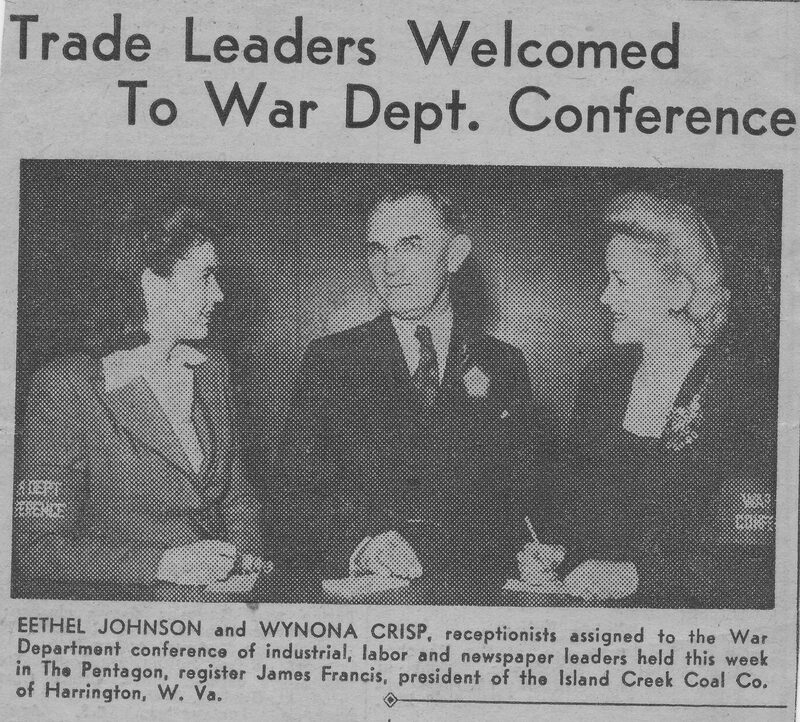 She took her job at the War Department seriously, made friends with co-workers, military officials, and celebrities (Melvyn Douglas and Horace Heidt among them) easily, and eventually parlayed her wartime office skills into postwar business success, including opening a thrift store in her retirement community when she was 93 years old. A manila folder filled with clippings, postcards, and invitations cannot hold the complexity of wartime excitement, sorrows, anxieties, and adventures. But Eethel’s collection and stories do offer a brief glimpse into the fun of working a high profile position at the Pentagon as well as how local media approached Government Girls as a novelty. Eethel stayed and raised her family in the Washington area after the war. She passed away in early 2018. Government Girls got the full brunt of Washington’s notoriously hot, humid summers in 1943 with temperatures reaching as high as 100 degrees. Air conditioning was rare in federal offices and virtually nonexistent in private homes. Photographer Esther Bubley captured some young members of the Lipstick Brigade nevertheless finding fun in those brutal but sunny days. Georgetown is one of my favorite DC neighborhoods for encountering unexpected colors, textures, and quirkiness. I can’t help snapping a few pictures as I walk. Thought I’d share some that go beyond iconic M Street. 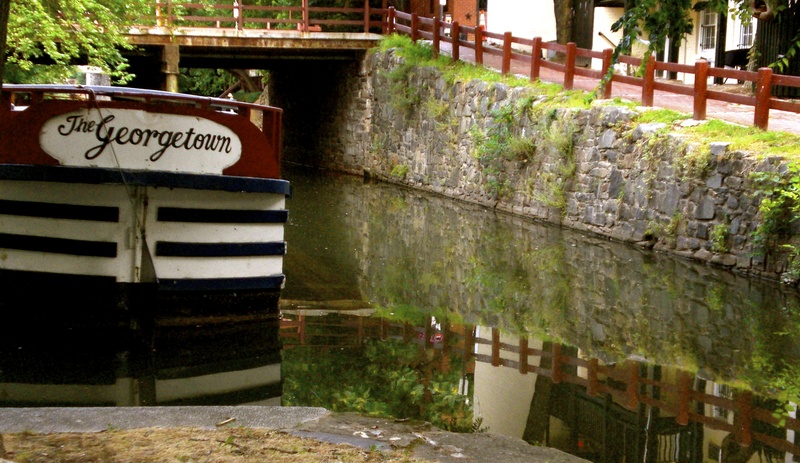 It’s worth getting a bit lost to see what you find, even though the C&O canal is currently undergoing a multiyear renovation and the Georgetown boat has been retired. And, yes, I have an odd fascination with its windows and doors. 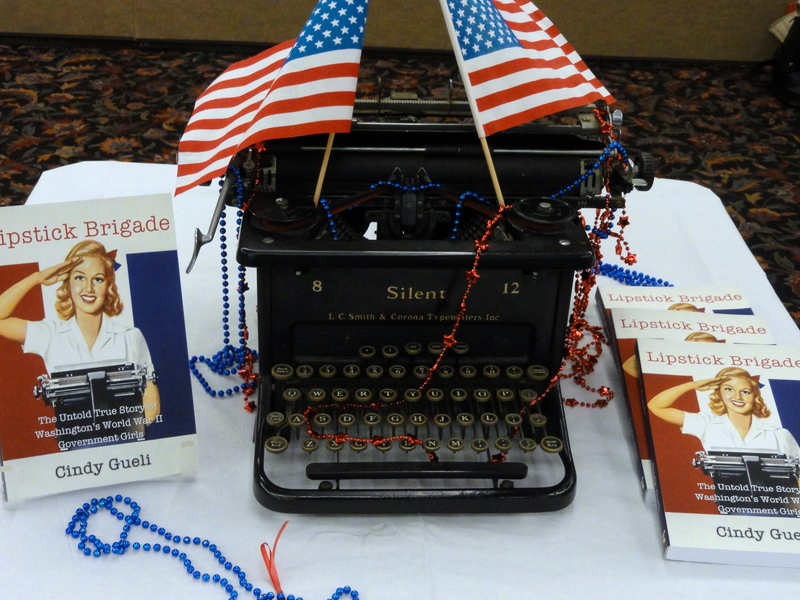 A big thank you to the many wonderful people I’ve met in the course of talking about Lipstick Brigade! Thought I’d share a few photos so far. More talks, more pictures, and more tidbits I’ve learned from the incredibly knowledgable and fun audiences to come…. 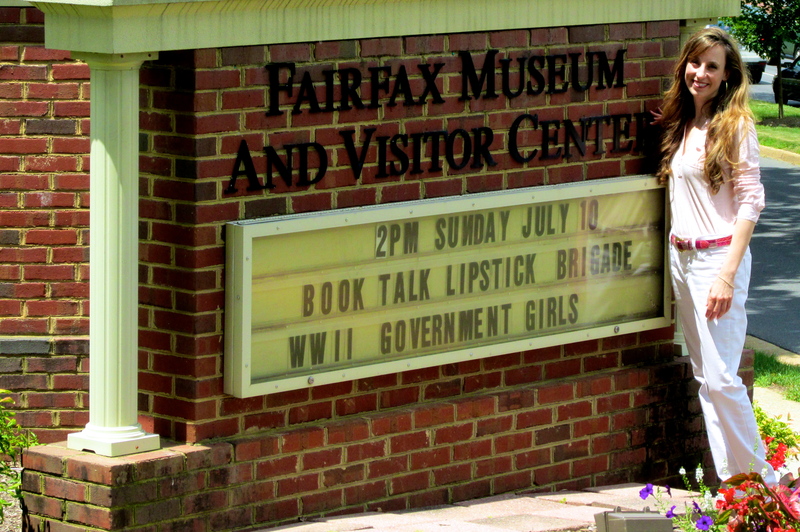 I have to share some photos from my book talk and signing at Fairfax Museum and Visitor Center in Virginia. Not only did the fabulous staff led by Curator and Visitor Services Manager Susan Inskeep Gray put together a great program but the lively crowd brought many of their own stories about and connections to Washington’s World War II Government Girls. If you find yourself in Fairfax, swing by the Museum and Visitor Center (10209 Main St., http://historicfairfax.org). They have terrific exhibits, knowledgable staff, fun walking tours, and lots of information on the Civil War in VA.
John DeFerrari, author of the wonderful Streets of Washington blog, has published a terrific history of Washington, D.C.’s Meridian Hill Hotel. 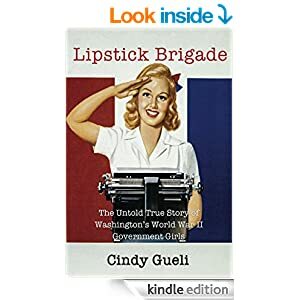 It was built specifically for World War II Government Girls, and John was kind enough to reference Lipstick Brigade in his post. 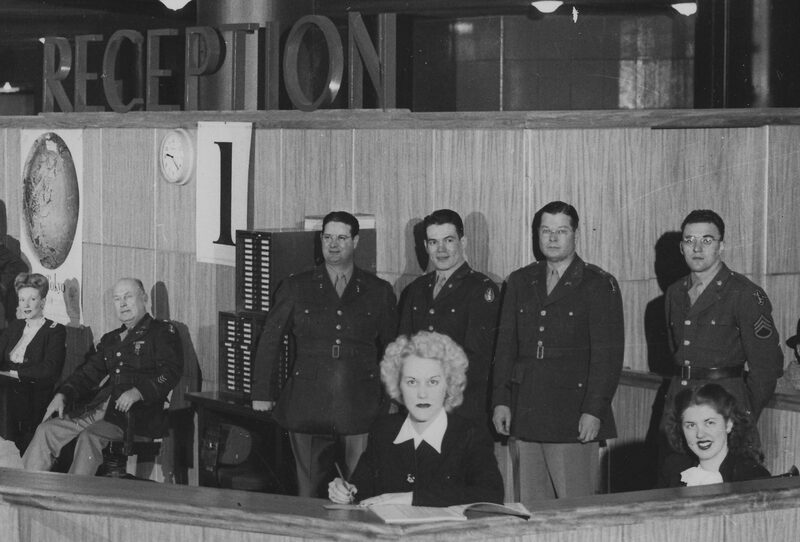 During World War II, Washington’s Housing Registry processed up to 10,000 requests every month, often more than 300 women a day. 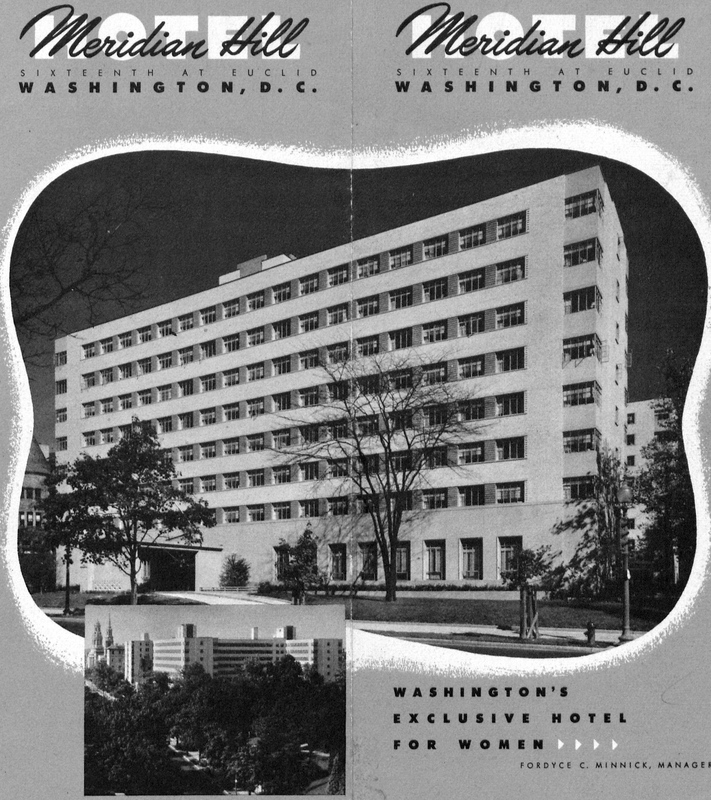 The Meridian Hill Hotel was one attempt by the federal government to stem the never-ending growing demand for wartime housing. 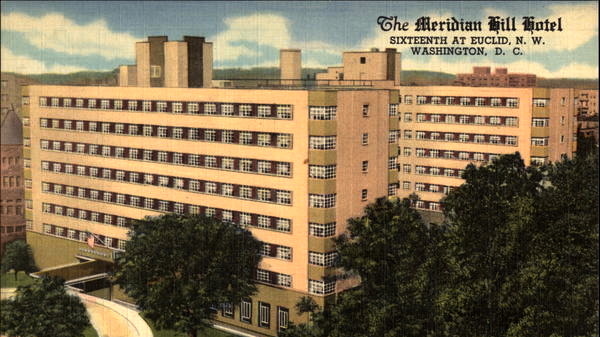 The government called the Meridian an “Exclusive Hotel for Women,” but locals sarcastically dubbed it “Purity Palace,” for the almost 800 young, single civilian and military Government Girls living there. John’s blog traces the history of the building and its many uses and what the future may hold for it in our rapidly developing nation’s capital. Alyce Dixon was feisty, independent, and brave. At 16 she changed the spelling of her first name to sound more theatrical, left home, and found a job. She divorced her only husband when he tried to stop her from financially helping her family (which included 9 brothers and sisters). She was one of the first African-American women to join the Army Women’s Army Corp (WAC ) during World War II; and belonged to the only African-American unit to serve overseas. 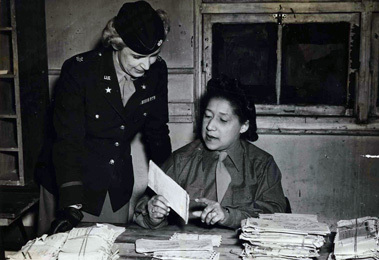 She challenged unfair racial practices in the Pentagon secretarial pool after the war. She was invited to a private meeting with President Obama at the White House. And despite challenging health issues, maintained her goodwill, humor, and full hair and make-up until her death last week at 108 years old. 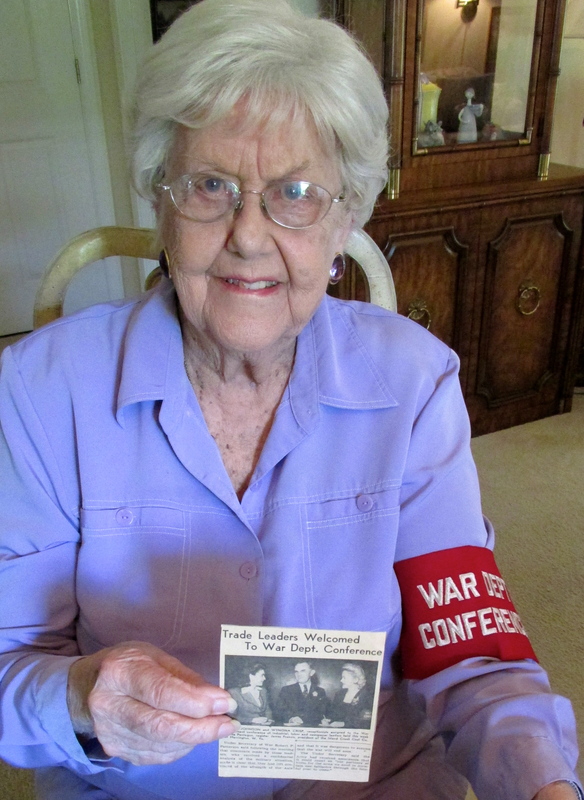 Alyce was the nation’s oldest female World War II veteran. But even more fun is to get a sense of Alyce’s spunky personality from this clip of her telling jokes– at 105 years old!